This collection of articles aims to provide parents, care and information providers and others with sufficient information on children from 0 to 36 months. The collection covers different aspects: emotional, psychological, social, intellectual, sensory and motor aspects. 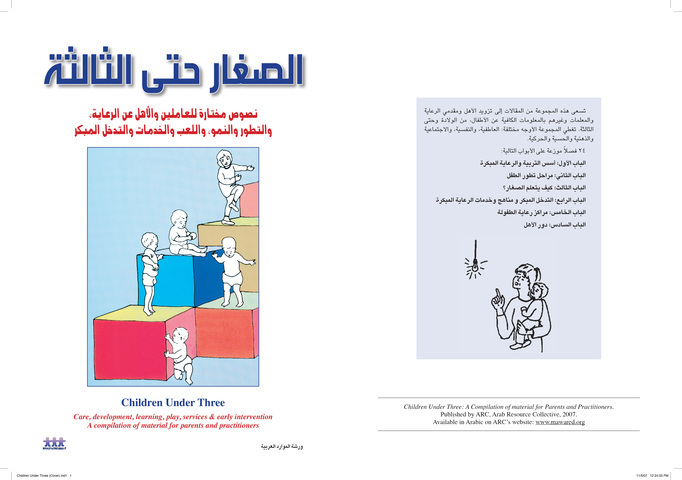 24 chapters spread over the following parts: basics of early education and care; stages of child development; how do young children learn? Early intervention and early care approaches and services; child care centers; role of parents; training a team of workers.